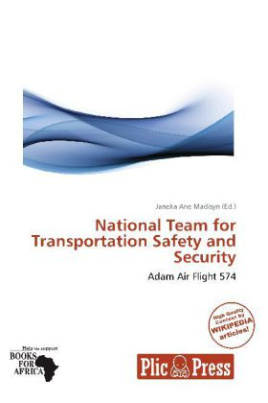 The National Team for Transportation Safety and Security was set up a few days after the disappearance of Adam Air Flight 574 on January 1, 2007, by President Susilo Bambang Yudhoyono, partially as a response to the high number of recent transportational accidents in Indonesia, and partially as a direct response to the loss of the aircraft. The team is tasked to evaluate thoroughly the transport safety procedures and review the existing regulations on transportation in Indonesia. It will not, however, investigate accidents; the entity responsible for this is the Komisi Nasional Keselamatan Transportasi (KNKT), or in English the National Transportation Safety Commission (NTSC), which is part of Departemen Perhubungan (Ministry of Transportation).